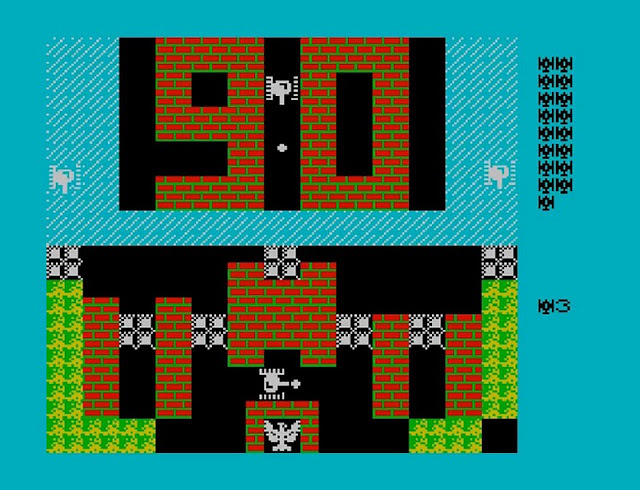 In 1980 Namco released the multi-directional shooter game ' Tank Battalion ' for the Arcades with a later port to the MSX. It is a game in which you control a mighty tank out on a defence mission to stop other enemy tanks from destroying your home base, that is indicated by the giant eagle above surrounded by somewhat decent walls. If you remember this fun game you'll be pleased to know a port of the game has been released on the ZX Spectrum by Dwa83.